Relax in the cozy old world comfort of an early California monastery with friendly “monks” that pamper you in subdued, romantic surroundings. Savor the fresh, full flavors of U.S.D.A. Choice Nebraska Angus beef seared over an open flame. Enjoy great times in the company of good friends and incredible food served in the tradition of the classic steak house restaurants of Omaha, Nebraska. Brother Sebastian’s Steak House and Winery is locally owned and has been recognized as one of Omaha’s best restaurants for a delicious, romantic dining experience. 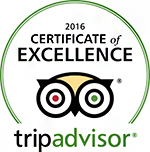 We have been given TripAdvisor’s 2014 Certificate of Excellence Award, Best of Omaha’s Best Romantic Restaurant for 2013 and numerous other awards since our opening in 1977. 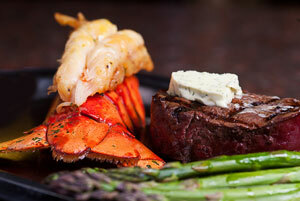 Join us with your party of two or fifty and we’ll help make your special occasion enjoyable and memorable. Our fireplace-warmed rooms – some small and intimate, some open and uniquely adaptable for your group function – are available by request. Call (402) 330-0300 to make a reservation or Contact us today. Like their steaks and potables, this place only gets better with age. In our humble opinion, the best steak in Omaha is the ribeye at Brother Sebastian’s.